The fourth Thursday in November is the perfect time to spend time with family, eat some home-cooked comfort food, and watch grown men throw around an inflated pig bladder. 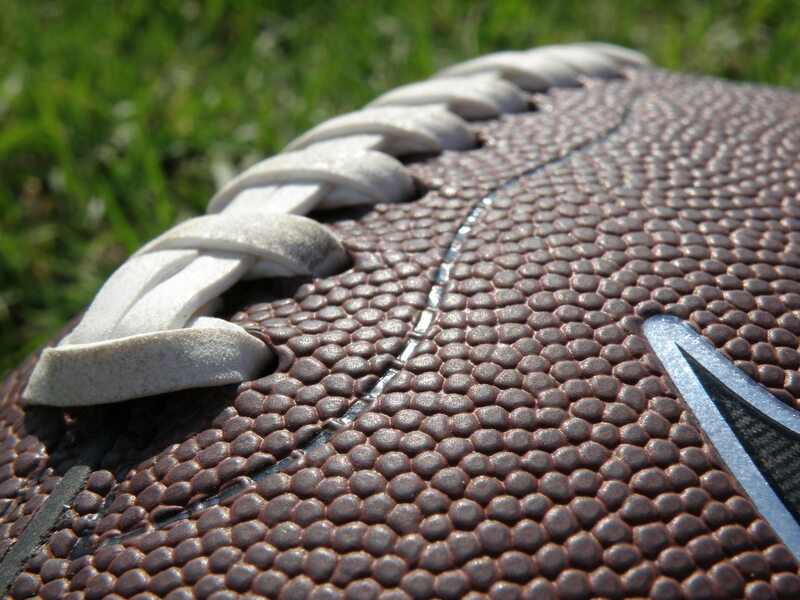 That’s right, folks; the world’s first American football was actually an inflated pig bladder, hence the nickname “pigskin.” Don’t worry, modern footballs are made of leather or vulcanized rubber, but the shape of a football remains the same as it’s ever been, lending itself to an interesting discussion of physics. My sophomore year of college at Washington University in St. Louis, my physics professor’s lecture the week of Thanksgiving featured two balls, a red rubber kickball and an American football. She asked us to predict how the balls would bounce. 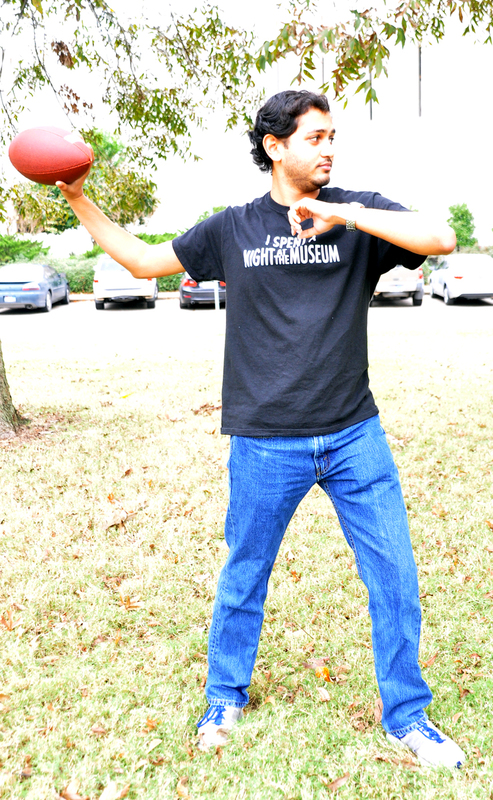 The spherical kickball was easy; the American football was not. The ovoid shape combined with the two sharp points at each end mean that the ball can bounce in just about any direction at any angle depending on its orientation as it is falling and what part of the football makes contact with the ground. That’s why every football coach I ever had drilled us on just falling on the ball instead of trying to catch it or scoop it up; it is extraordinarily difficult to predict just which way the ball will bounce! These bounces often manifest on plays when a bouncing ball is live, like a fumble, an onside kick or following a punt. As the game evolved, so did the football itself. 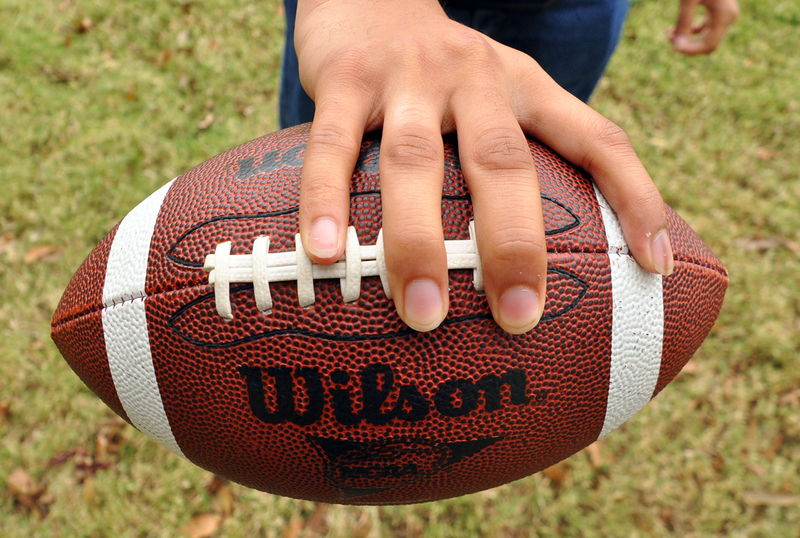 As you can imagine, inflating animal bladders can be inconsistent; now, the NFL football is standardized at about 11 inches long from tip to tip and a circumference of about 28 inches around the center. Those bladders could also be difficult to grip, so the modern football has a coarse, pebbled texture as well as white laces in the center. Because of its shape, the football cuts through the air most easily when spinning around its longest axis, called a spiral. This spiral minimizes air resistance and allows the ball to move in a more predictable parabolic motion. A common misconception is that the spiral motion allows the ball to travel farther, but this idea falls apart with basic physics. When a ball is initially thrown, there is a set quantity of total energy in the system. That set amount cannot be increased or decreased, just changed from one form to another according to the Law of Conservation of Energy. 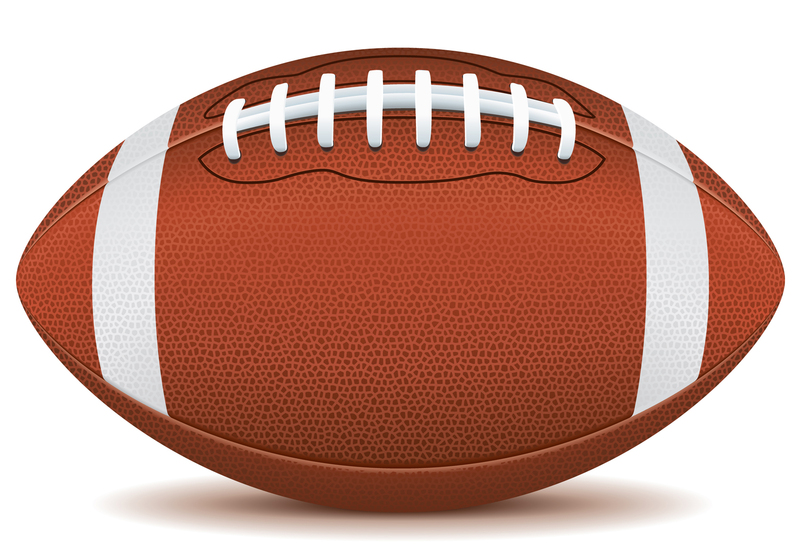 The spinning motion of a football in the air requires kinetic energy, so every Joule of kinetic energy required to keep the ball spinning is less energy dedicated to the football’s motion. Instead, the spiral is important because of a concept called angular momentum. A spinning football behaves like a gyroscope; a ball will maintain roughly the same orientation while travelling. This makes the football’s movement from point to point easier to track and predict for a player. 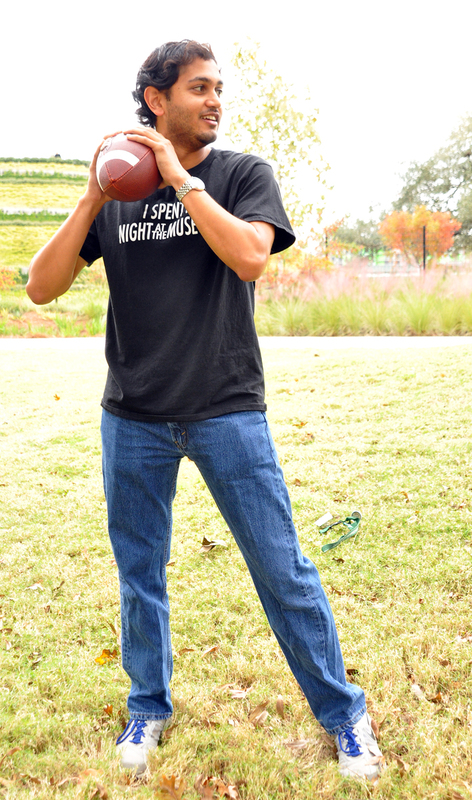 So when tossing around the ol’ pigskin Thanksgiving Day, make sure you grip the ball with the laces as you throw! What works best for me is to put my middle finger, ring finger and pinkie finger on alternating laces at the front of the ball (as pictured above). 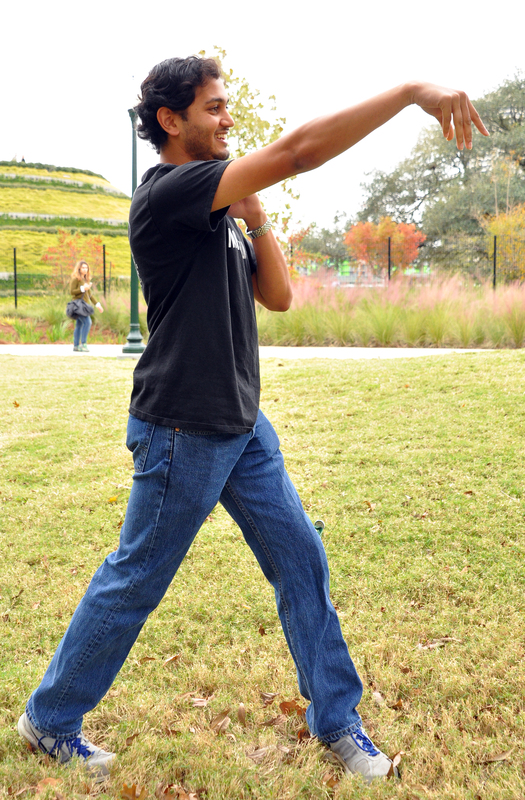 When throwing a football, it is important to generate the force for the ball from your legs. If you are right-handed like me, stand sideways with your right leg behind you. 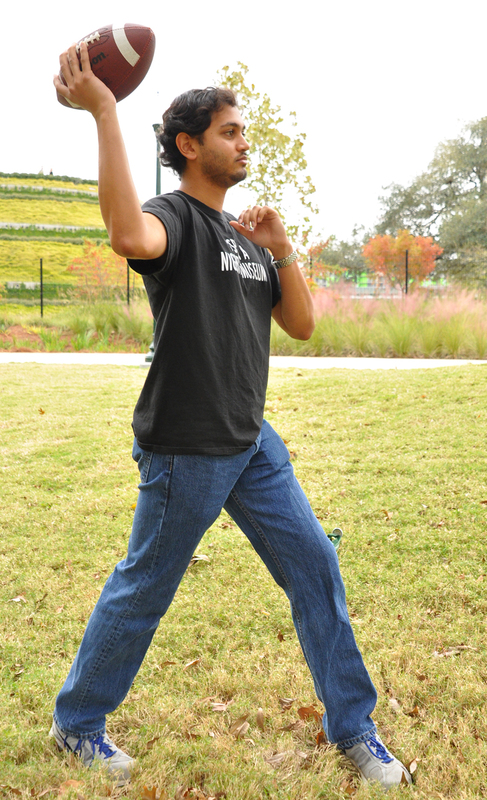 Push off against the ground with your back leg and turn your body to throw as you do so. Bring the football backwards and then forwards over your shoulder, allowing the ball to roll off of your fingers straight. No need for any wrist twisting, as the ball should naturally move in a spiral. (See proper form below.) Step one: feet shoulder width apart, hands meet on the ball. Step two: weight on your back foot, bring the ball back, wrist out. Step three: throw the ball, wrist in. Allow the ball to roll off of your fingers, but keep your wrist straight and stable. Release the ball over your shoulder. Remember, it’s not a baseball. Step four: follow through after the release. Whether you’re facing the New Orleans Saints or the neighbors across the street, the principles of physics are crucial to your football team coming out on top. May the forces be with you! Happy Thanksgiving!